Based on comparative sales numbers for handgun ammunition, 9mm ammo, the Luger 9×19 Parabellum, is far and away the all-time champion. Excepting the (entirely understandable) personal preferences some shooters have for .45 ACP ammo, .380 ACP, 10mm, etc., the 9mm being crowned a heavyweight champion makes sense. Particularly with the introduction of P+ loads, the 9mm packs a heck of a punch while being a modest enough caliber to preclude excess muzzle flip, allow for high-capacity mags, and optimize accuracy of follow-up placement. So, with the caliber’s benefits sufficiently laid out, the next question is: which 9mm pistols are history’s best, those worthy of the King of Calibers? Part of the reason it was suggested to remove personal preferences for objectivity is because the SIG (not yet Sauer) P210 warranted placement at the top of the list due to its appearance. Shallow as that may be, it’s one of pistol history’s most elegant sidearms. Featuring rich walnut grips, the P210 is the picture of sleek, sturdy, steel trustworthiness. It was rugged and reliable enough to be accepted into use by the Swiss armed and police forces until the mid-70s with a design dating back to the late 1930s, and of such superior quality and mechanical precision that it is still highly prized as a top-shelf competition target pistol. The Luger, or “Pistole Parabellum,” deserves inclusion for a number of reasons. A biggie is that it’s the pistol for which the 9mm Parabellum cartridge was developed. It was also a technological triumph, with one of the most ergonomic, shootable firearms designs in history. It shot straight, predictably, and quickly. Developed initially in 1900, the Luger was reliably cycling through 9mm ammo as the official service pistol of dozens of countries all over the planet for the next nearly 100 years. Norway didn’t phase it out until 1987. That alone attests to its quality. One of the better scenes from “Indiana Jones and the Last Crusade” features Indy fighting Nazis atop a tank. He gets ahold of a Walther P38, shoots right through a whole series of Nazis with it, and looks at the P38 in amazement. It’s a pretty accurate depiction of the technological advances the P38 represented over Indiana’s old-school revolvers (no offense to wheelgun fans). It was the first pistol to marry the double action/single action trigger with a locking breech. It also had a reputation for being considerably less finicky than the Luger, which was likely one of the reasons it replaced it as the German service weapon. Another of John Moses Browning’s masterpieces (with the assistance of Dieudonné Saive). The Browning Hi-Power, among one of the most elegant designs of all time, was adopted as the service weapon of dozens of police and military services in nearly 90 countries, had twice the magazine capacity of its closest competitors, and would go on to be one of the most copied pistols of all time. Its thin barrel and steel frame made it both light and exceptionally sturdy. Virtually every 9mm to follow, and arguably, every semiautomatic pistol to follow—including those that would make this list but for space constraints such as the Glock 19, Sig (Sauer) P226, Beretta 92, and CZ 75—owes a debt in one way or another to the Hi-Power. Ammunition Depot is widely regarded as the best online source for ammunition, guns, gear, and any shooting accessory you’d need. 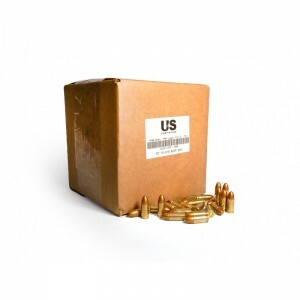 Whether you’re looking for a gun or the best ammo to feed it, Ammunition Depot has your back. They offer everything from a box of 6.5 Creedmoor to 1,000 rounds of top-quality .22 LR ammo for sale, as well as 9mm ammo, .223 5.56 ammo, and just about everything else you’re looking for. The folks at Ammunition Depot are proud to support the Constitution and shooting rights. They also donate to charities for law enforcement and the troops, and promote vet-forward job opportunities in their home state of Florida.